One of the cool things about blogging is stumbling upon someone’s blog or IG feed and you’re like “WOAHHHH…this chick is seriously cooooolllll!!! 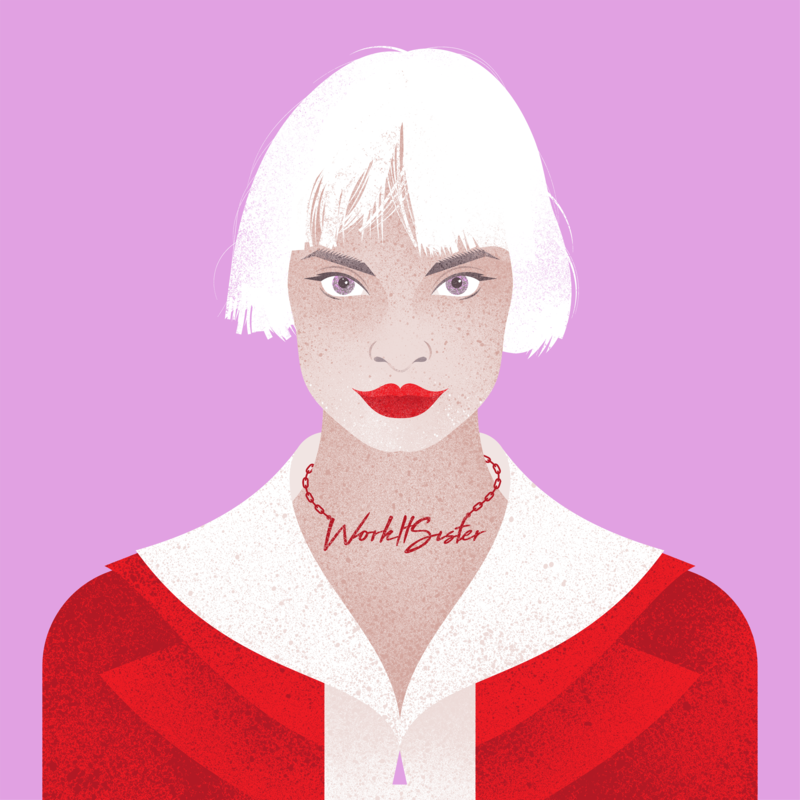 !” This happened when I first saw Hannah’s work at Girl Power Illustrations. Hannah works with her audience to create powerful strong women/girl illustrations with important messages. Check out the Girl Power Illustrations IG feed here. I love Hannah’s work so much that I asked her to create The Wheel of Life just for you! I hope you like it as much as I do???? 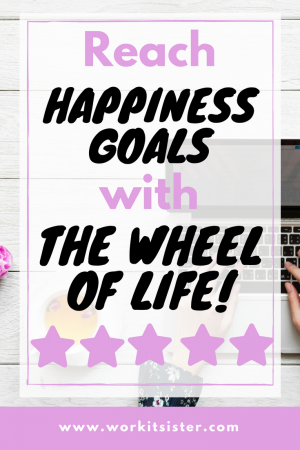 The Wheel of Life – What Are Your Happiness Goals? 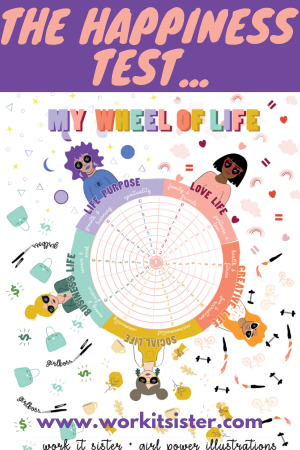 A fantastic way to check your happiness levels and decide which areas in life you would like to add some oomph is to compete “The Wheel of Life”. 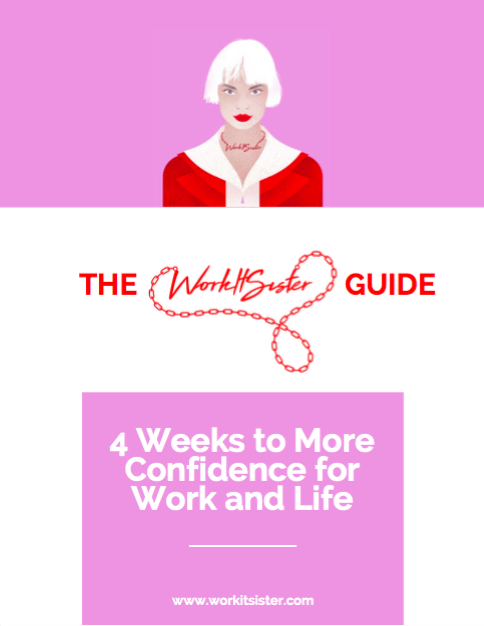 This helps you to quickly identify how satisfied you are in the different categories in your life and helps you set your future happiness goals. 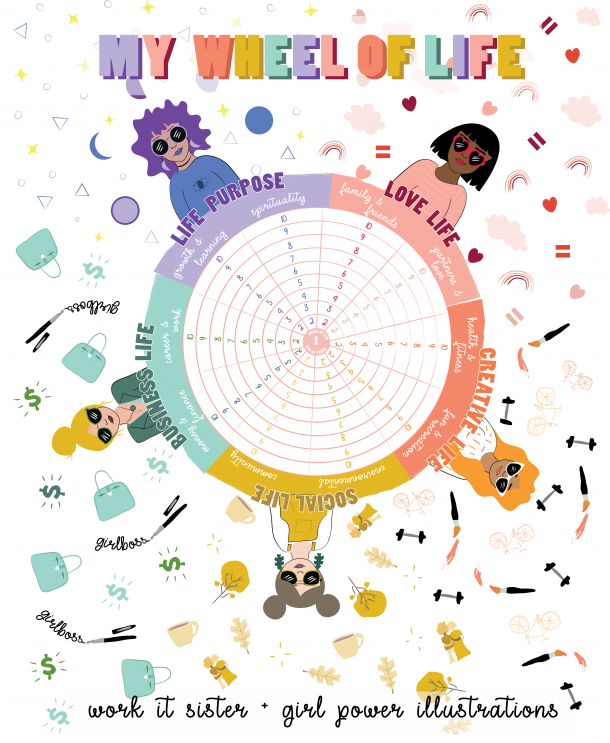 Get your very own "Wheel of Life"to check your happiness levels & create your happiness goals! 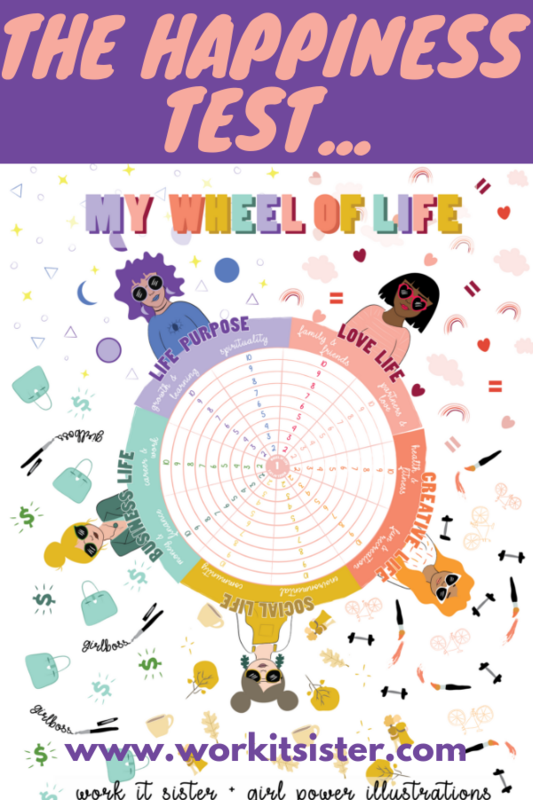 I want MY WHEEL OF LIFE! How you choose to live your life is so personal so do feel free to add, remove or change categories that may better reflect you. Why did you score yourself the way you did for each of the categories. Where are my most significant gaps in satisfaction levels and is there a particular reason for this, maybe something we need to think about changing perhaps? Is there a specific area in my life that I would like to focus on to increase my satisfaction levels? Is my wheel out of balance? Do I focus on one particular area of life at the expense of another? 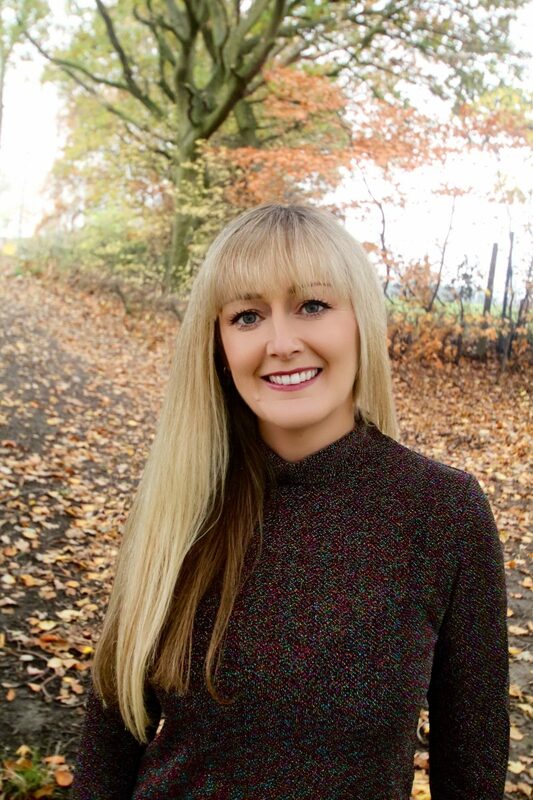 The aim is not to necessarily pair back on a specific area of life as we would always aim to grow to reach our full potential but maybe add more focus on a life area that we now know needs attention. Then make a note of the areas of your life that you would like to improve in the next year and add them to your list of “Goals for 2018“.